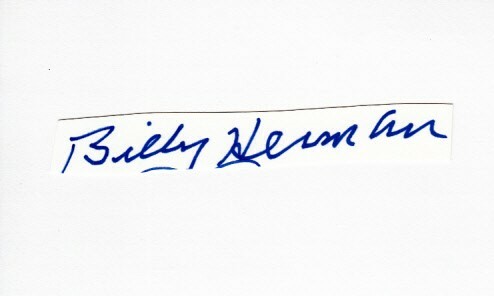 Autograph or cut signature signed in blue marker by the late Hall of Fame infielder Billy Herman, mounted on 3x5 index card. With certificate of authenticity from AutographsForSale.com. ONLY ONE AVAILABLE FOR SALE.